The importance of taking measurements of your windows before fitting blinds cannot be overstated. Due to the nature of blinds, it has to be fitted precisely to the size of the window, or it won’t be able to provide sufficient shade and you will have difficulty opening your blinds. It will also look sloppy and out of place. Keep reading to learn how to measure for blinds. How are Window Blinds Measured? To measure for blinds, you need to take the inside and outside measurements of your window. For an inside-window installation, you need to measure the width of the inside of the width of three places: the top, the middle, and the bottom. Next, measure the inside length of the window at the left, middle and right of the window. When you have these measurements, move on the depth of the window. This is the distance between the surface of the wall and the top of the window itself. This measurement will tell how much space you have for bracket installation. 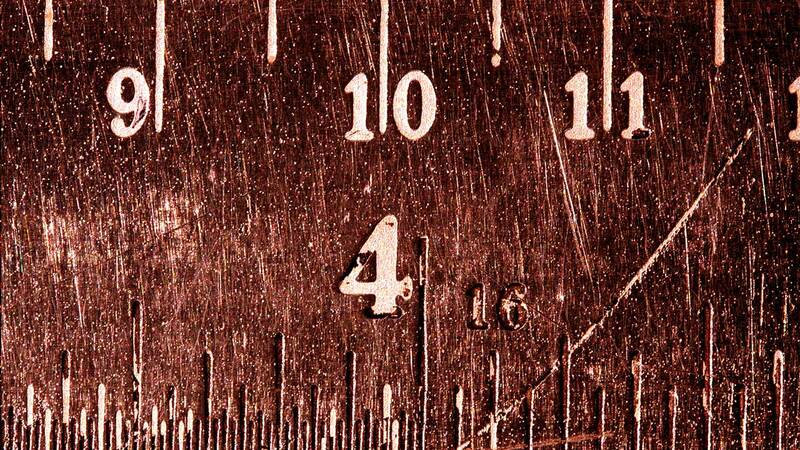 It is important that you record all the measurements to the nearest one-eighth of an inch. For an outside blind installation, you have to measure the width of the entire window frame. Again, this measurement should be taken at the top, middle, and bottom of the window. Next, measure the height of the entire window at the right, center, and to the left of the window. There are two ways for fitting blinds to a window – inside mount and outside mount. Inside mount is when the blinds are fitted to cover only the window. In this case, the brackets are mounted inside the top of the window fame. With inside mounts, the measurements are incredibly important to ensure that it looks right and that there is no light passing through. When it comes to outside mounts, the mounting brackets are outside the window frame against the surface of the wall. With this form of installation, the blinds typically cover the entire window. Do Blinds go Inside or Outside a Window? When choosing whether you should go for an inside or outside mount, you have to take a few things into account. t’s important to take note that with an outside mount, the entire window frame is covered. Inside mounts are generally considered to give an interior space a cleaner look. This is because they can be mounted at any depth you like. If you want to cover multiple windows with one blind, however, an outside mount may be the more practical option. Outside mounting can also work better if your windows have an atypical shape that is not really compatible with inside blind installation. Before mounting your blinds to the inside or outside of your window frames, make sure that you take accurate measurements. Remember that a windowsill or one side of your window may not be completely level. It is important to accommodate imperfect measurements of your window frame, especially with inside mounting.